The classic main stage of the Berkshire Theatre Fetival in Stockbridge. The Founder’s Theatre at Shakespeare & Company in Lenox. 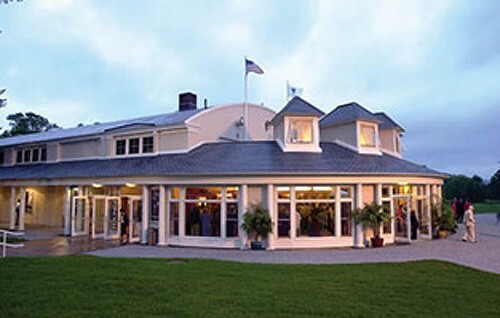 The famous shed and lawn at Tanglewood in Lenox. 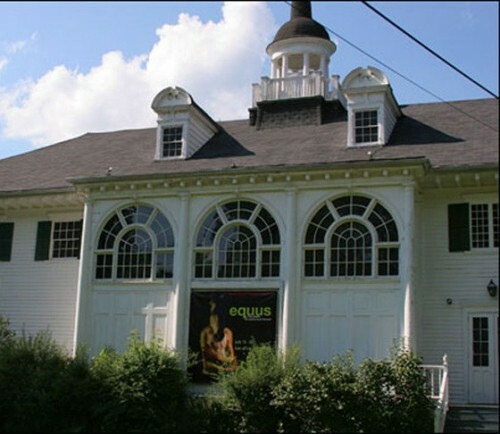 The Williamstown Theatre Festival makes the ’62 Center its home at Williams College. Four locations offer half price tickets: Adams, Pittsfield, Great Barrington and Chatham, NY. Saving money on tickets at Half Tix stretches entertainment dollars. Here's how it works. Each performance day the participating groups decide if they have some seats likely to go unsold, and advise Half-Tix of their availability. Then at the appointed hour the four venues begin selling the tickets at half price, plus a $2.50 service fee each, cash only, until they are gone. In Pittsfield you may find a line of 40 people ahead of you, so you give up some of your time, and you can never be sure if you will get your top choice of events. But you end up with the cheapest tickets you can possibly get, and that is something worth thinking about, especially when you want to take some out of town guests to one of the famed Berkshire cultural attractions. The list of participating cultural organizations is most impressive, though the appearance of their name here does not guarantee they will offer tickets on the day you want to see a show. There is a limit of 4 tickets per person and the hours they are open are short. Friday and Sunday when there are matinees they begin selling tickets at 11:00 AM, while on Tuesday, Wednesday, Thursday and Saturday they start at 2:00 PM. We cover the various discounts offered by the major groups at the end of this report. And following that, we reveal many of the secrets of half-price ticket buying that you may not know about. 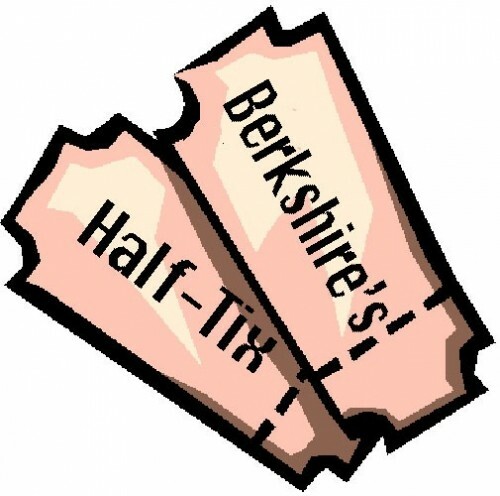 Half-Tix is now in its seventh year in the Berkshires, having originally begun as an experiment by the ever-resourceful Barrington Stage Company when they were still in south county. Today it is watched over by the Berkshire Cultural Alliance and administered by the Berkshire Visitors Bureau. Linda Beach who has been with the operation almost from the beginning knows a lot of the Pittsfield patrons: "They don't go away any more, they see the Berkshires first, and know they are seeing the best the country has to offer, and they see it at half the cost of those who drive hundreds of miles just to be here." She also made a point of the Berkshire Culture Card which each ticket buyer received that gets them $1 off, or 10%, etc, to dozens of other participating organizations. This includes lesser known events like the Berkshire Fringe Festival, Chester Theater, Hancock Shaker Village, Ventfort Hall, the Mahaiwe, The Mount and many others, even Pittsfield's Ferrin Gallery. Linda Beach made a point that there is something to offer entertainment seekers just about every day, and that Tanglewood, Jacob's Pillow and Williamstown Theatre Festival have been among past offerings. "The Visitor's Bureau is here for the residents just as much as for the visitors. In fact we are staffed by volunteers, their neighbors, people who are very knowledgeable about the Berkshires." "It is as if we are the Concierge for our Berkshire neighbors - we want them to enjoy the area just as much as the visitors," Beach said. "Special requests are passed along, and sometimes we are able to help those with limited vision or hearing to get the more appropriate tickets in our allotment. We do what we can to make sure everyone has a good time." No tickets are sold until the designated start time, but the Half-Tix staff issues numbered cards to those who show up early, determining the order of sales. Beach said that the half-price tickets make performances affordable for those on a limited budget or seeking a deal. But she said flexibility is key. "If there's something you really want to see, don't wait for Half-Tix," she advises. The Half-Tix program provides a golden opportunity for a range of patrons, she said, including "people who don't plan ahead, can't afford full-price or just like the idea of half price." In addition to the Half Price Tickets on the day of performance, most of the Berkshire cultural organizations have their own special discount and free programs which they offer Berkshire residents. Don't forget that most companies will let you see the show for free if you volunteer as an usher or help man the concession stand. Use our handy Arts Links above for Quick Access to each Group. Free performances are a regular part of this company's offerings. This year they present 'The Mad Pirate and the Mermaid" in two parts now through August 30, , Performances take place at the Rose Footprint Theatre, with Part A at 6:15 on Wednesdays and Part B at 6:15 on Fridays. Shakespeare & Company also offers "Free"dom on Independence Day on July 4 with a reading of the Declaration of Independence and celebration at 3:00 PM. Berkshire County residents love Shakespeare & Company since they receive a special discount of 40% off ticket prices for all performances through Labor Day except Friday and Saturday evenings, in sections A and B only. Tickets must be picked up in person at the Box Office with I.D. Berkshire groups can get a similar discount depending on availability. Active teachers and military personnel with valid I.D. receive the same discount as outlined above, regardless of residency. Children will receive free admission to all morning and afternoon matinees in the Founders' and Elayne P. Bernstein Theatre (5-18 years old) excluding Sunday perfromances of Canterville Ghost. Seats are in Sections B or C only, and up to 3 children per adult are allowed. Seniors over 64 and students under 19 regardless of residency with proof of age receive $5.00 off with no further discounts allowed. There is also a youth Day-of-Show 50% discount, except for Friday and Saturday nights for those 25 or younger. Proof of age required, one ticket per patron in sections A and B only, subject to availability. Various discounts for groups of 15 or more. All theatres are wheelchair accessible. Advance arrangements are encouraged. Offers half-price tickets to Saturday matinees to full-time Berkshire residents. A drivers license is required to verify the local address. Subscriptions at half price are available to high school and college students with an id. There are also discounts for groups of 15 or more. Both the mainstage and Unicorn theatre are wheelchair accessible. There are also affordable tickets for the first two preview days of each production. Mainstage is $15 mezzanine and $20 orchestra. Stage II is $15 and is general admission. On Saturday matnees at 4:00 PM seats are $15 for students with ID. Seniors are offered tickets at $35 for all Mainstage matinees. Community nights for those in Albany, Berkshire, Litchfield and Columbia Counties cost $35 per ticket on Wednesday evenings. Children 14-21 are half-price except Saturday nights. Those 13 and under are free at Mainstage performances, except Saturday evenings and previews. Limit of one free youth ticket per paying adult, and children must be 5 years of age or older to attend. Parents are advised to check with box office as to suitability for children's shorter attention spans. MainStage and Stage II are both handicapped accessible, and 48 hour notice is suggested. The MainStage also has a limited number of assisted hearing devices which should be reserved in advance. Barrington Stage welcomes groups of 15 or more at a discount. All special discounts are subject to availability and can only be ordered at the box office, not on line. Rush Tickets: General Rush tickets are $15 for plays, $25 for musicals and are available for the Thursday evening performances of all Main Stage productions, beginning at 6:00pm on the day of the performance. Student Rush tickets are $15 for plays, $25 for musicals and are available with a valid student ID beginning two hours prior to curtain for every performance except Saturday evenings. Limit two General Rush tickets per person and one Student Rush ticket per person. All rush tickets are subject to availability and must be purchased in person at the Box Office with cash only. The WTF has a number of special free performances each summer. In 2008 a musical will be presented on July 21 and 22 at 8:30 and 11 PM, and a play on August 11 and 12 at 8:30 and 11:00 PM. There is also a Kid's Day with theatre activities to be held on the front lawn on July 12 at 9:30 am , followed by a special main stage performance using mythical themes, elaborate costumes, puppetry and music or dance. There are additional performances on July 7, 8, 9, 10 and 11 at 11:00AM. Kids' Night: Kids under 18 attend the first Friday performance of each Main Stage production (Jun 27, July 18, Aug 1 and Aug 15) free of charge when accompanied by an adult with a full-priced ticket. Kids' Night tickets can be reserved by mail, phone, or in person only. They cannot be reserved online. All Kids' Night tickets will be held at the theater Will Call window for verification by Box Office personnel. 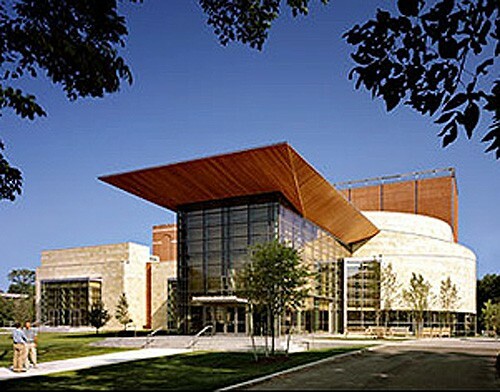 All the performance spaces in the '62 Center are wheelchair accessible. A limited number of assistive listening devices are available for '62 Center performances. Finally, at 3:00 PM on Fridays from July 4 to August 8 there are new play readings and other special events for just $5.00. These take place at the Paresky Center. T.P.O. (Teatro di Piazza o d'Occasione) ALL SHOWS! There is a 10% child and student discount at other times. Children are to be 8 to 16. The Pillow advises parents to select its Youth Matinees, and to be aware that not each and every program is equally appropriate for their children, and to check the box office about the content of specific programs. Children must be accompanied by an adult, who should help them to be considerate of other patrons. College Students with ID. Seniors 65 and over. Groups of 20 or more. Both performance venues are wheelchair accessible. Free performances take place as part of the Pillow's Free Inside/Out program, held Wednesdays to Saturdays at 6:30pm. They encourage bringing the family to this beautiful and informal outdoor setting to see artists from the Doris Duke Studio Theatre, emerging artists from all over the world, and The School at Jacob's Pillow in the Marcia and Seymour Simon Performance Space. There is also the annual Community Day to be held on July 20, 2008 from 10 AM to 1 PM. 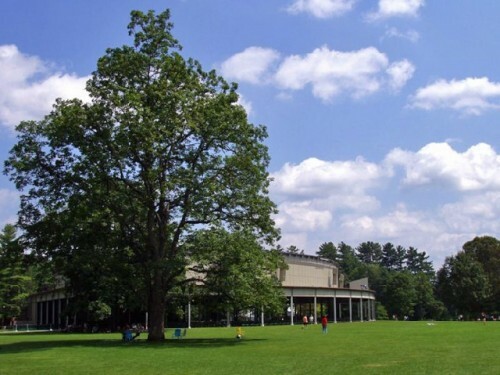 The BSO holds a Berkshire Night each year at Tanglewood. As of 6/21 the date has not been announced for 2008. Last year's event included an Instrument Petting Zoo where children were encouraged to try out each instrument. Discounts of up to 10% are limited to groups of 25 or more. Students 13 or over with valid student ID who then receive 50% off the cost of a Friday evening lawn ticket. No discounts for seniors or Berkshire residents. Access information for patrons with disabilities can be had by phone (617) 638-9431 or TDD/TYY (617) 638-9289. Having spent a decade of my life helping spread the concept of half price tickets across the USA and Europe, I know the strategy works. In the 1980's putting warm paying bodies in otherwise cold, empty seats was a new idea, athough there were precedents. Im 1894 Joe Leblang used to receive free tickets for allowing posters to be hung in his well trafficked store in the New York City theater district. He sent his brothers to the other neighboring stores to scoop up all the free tickets they had received as well, paying pennies on the dollar, for them, and reselling them to the general public at half price. By 1910 he was selling 2,000 tickets a night from the basement of Gray's Drug Store. Word of mouth worked as well then as it does today. By doing this he was able to salvage shows that were savaged by the critics, the most famous of which was "Tobacco Road." It was dismissed by the critics but ran for five years. When Leblang died, he left behind $15 million. The charming Anna Crouse (yes, as in Howard Lindsey and Russell Crouse who wrote "Life With Father" and 'The Sound of Music") luckily was on my board at ARTS/Boston knew Leblang. By 1972, Howard Lindsey had passed away, and another Lindsay, the Mayor of New York, asked her to help with the revitalization of Times Square. She helped begin TDF, the Theatre Development Fund, which opened its famous TKTS operation in Duffy Square in a second hand construction trailer. Electricity came from a jury rigged plug into a lightpost. The first day they sold seven tickets. Today they sell 30,000 tickets a day. Today there is a new $15 million booth being built though it is far behind schedule. Simple is always better. By 1979 TDF was encouraged to spread its concept to other cities and I was soon wrapped up in the establishment of the ARTS/Boston organization, working as part of the feasibility committee for the BOSTIX booth in Faneuil Hall and a second in Copley Square, plus the innovative ARTS/Mail program. In the internet age, under the expert leadership of Catherine Peterson, this has morphed into the BOSTIX Advance program online. Much has changed, all for the good, and the only original member of my staff, Joe Donlavey is still there as their capable Director of Ticketing and Tourism. To the average person it seems that half price is just a desperate sales strategy. Nevertheless, there is some powerful marketing logic behind it. The first thing to remember is that a theater is more like an airline than a shoe store. The instant a plane leaves the ground with empty seats, those vacant seats become a total loss, the potential revenues they once represented having been lost forever. In a retail shoe store when you close at night, the unsold shoes are still available for sale the next day. There is no catastrophic loss of value. That is how airlines got into "yield management" which is how today's ticket pricing evolved. It is better to get half price for that empty seat than no revenues at all. The trick is in making sure that full price ticket buyers don't become half price ticket buyers. Of late, the airlines have found that line harder and harder to hold as even business flyers wait for last minute bargains, and will change meeting times to get cheaper fares. The first rule of a half price ticket booth is to remove the certainty of being able to see whatever you have your heart set on. This often means limiting the number of seats sold at a discount so as not to cannibalize the full price ticket sales. Then there is the location of the seats. In a half price situation you are not going to hold out or negotiate for seats in the center downstairs, and are more likely to take a side or rear seat, or even one in the balcony in return for significant savings. For most people, a few rows closer or further away is no biggie. Then there is the convenience factor. If you have to drive to an outlet, pay cash, and wait in line, you better have time on your hands to trade for a lower price. A well paid executive on a tight schedule is unlikely to be willing to make those compromises, and will settle for a quick internet or phone transaction and a guarantee of attending exactly what they want to see. It was interesting when I worked with theatre and cultural organization around the country to help them develop similar operations. The Pittsburgh-Allegheney Country Cultural Alliance decided to make their ticket booth a drive through. In Toronto The Theatre Development Fund of Toronto partnered with Five Star Liquors for naming rights. The San Diego Theatre League hired North Adams own Alan Ziter to head up their fledgling Arts Tix operation. He now heads up that city's NTC Promenade Cultural Center project. For many years Anna and TDF took me under their wing, and with the mentorship of Hugh Southern, Vince Marron and Henry Guettel, as well as Anna Crouse, I came to appreciate the role discount tickets have in the ongoing survival of our resident theater companies. TDF has grown to become more than just a ticket seller. It maintains the Costume Collection where old theater costumes find new life being rented at low cost to other productions. TDF is an investor in new, artistically risky shows. I was involved with promoting Sweeney Todd, as it began its National Tour in Boston and became the first offering of my fledgeling ARTS/Mail program which grew into a phenomenon. It has since evolved into the BOSTIX Advance program. They have even offered Berkshire groups once in a while. As the Berkshire's Half-Tix has slowly grown and spread, I am happy to see the concept is still alive and evolving to meet today's needs even in sparsely populated rural areas. In the capable hands of our local organizations it has been adapted to meet the unique needs of doing art in the Berkshires. If you are reading here in Berkshire Fine Arts, you know that there are many exciting events coming up. Even with higher gas prices and a tight budget, half price tickets make the arts affordable to most people. With Half-Tix you can see it all and not break the bank in the process.